Hope K. Gerde, associate professor, studies the development and evaluation of approaches to promoting growth in children’s early language and literacy skills, particularly writing, via professional development for teachers. She examines the relations between early reading and writing development and how at-risk children’s language and literacy development is affected by the quality of adult-child interactions. She is currently principal investigator of the U.S. Department of Education Institute of Education Sciences-funded study to design a web-based teacher professional development program for literacy. 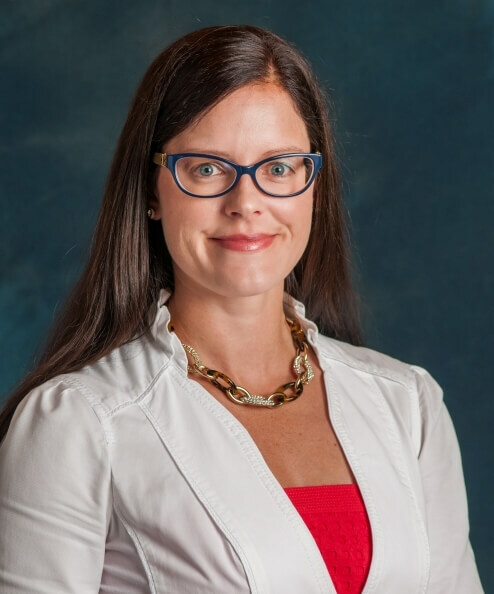 She is co-principal investigator on two National Science Foundation-funded projects evaluating effects of an online coaching protocol she developed for enhancing early childhood teachers’ classroom practices and child outcomes. Gerde leads the online bachelor’s degree in early childhood education sponsored by the Great Plains Interactive Distance Education Alliance. Further, she is a co-director of the Early Language and Literacy Investigations Laboratory, a research group which is organized by faculty of Michigan State University, which engages both undergraduate and graduate students in various federally funded language and literacy focused research projects. She teaches undergraduate courses in early childhood curriculum development and graduate courses in language and literacy development and prevention/intervention research.